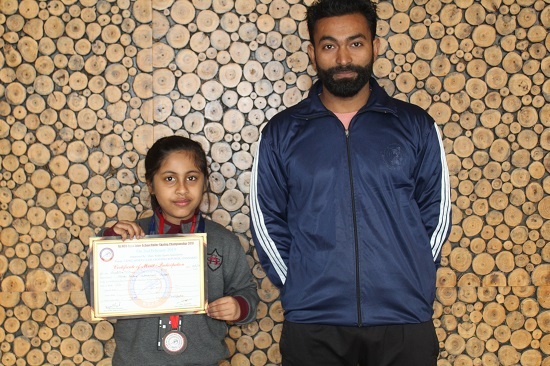 Anahita Mishra represented MRIS, Noida in First NCR Open Inter School Roller Skating Championship held recently. The event was organized by Roller Sports Organization at Lionz Sports Club, Ghaziabad. She bagged third position and was awarded with bronze medal (Age group: 8-10 yrs). Students rock at National Level French Olympiad!